ITV is to broadcast two new ITV factual series on the North of England, both to be presented by actor Robson Green. The Soldier Soldier and Waterloo Road star will return to his roots for a tour of his home county in Robson Green's Northumberland, an eight-part series which will see the 48-year-old visit Holy Island and Hadrian's Wall and camp in Britain's most remote spot. It will be produced by Shiver, which has bases at MediaCityUK and in Leeds, and follows its work on The Lakes and The Dales, which were both produced in Salford. He will also front Robson Green: How the North Was Built, a two-part documentary set to air in July. It will tell the story of how industry in the region shaped the country, from Green's native north-east to Lancashire. Green will focus on the major heavy industries of coal mining, cotton, steel and ship-building before turning to the new culture that has sprung up around industrial life, from working men's clubs, pubs and music to sport, education and politics. 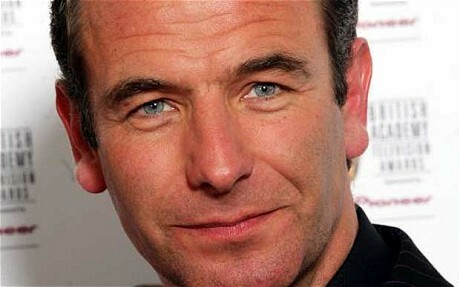 Speaking of both commissions, ITV's controller of factual Jo Clinton-Davis said: "Both projects offer an enriching approach to Britain's Northern heritage and Robson Green's passion for and authentic experience of both subjects makes him the perfect person to mine this rich seam of our history, culture and landscape."